Synopsis: College freshman Claire Danvers has had enough of her nightmarish dorm situation. When Claire heads off-campus, the imposing old house where she finds a room may not be much better. Her new roommates don’t show many signs of life, but they’ll have Claire’s back when the town’s deepest secrets come crawling out, hungry for fresh blood. Will she be able to face the town’s terror or will she drown like everyone else? I really loved this book! It’s actually the first book I’ve read about vampires so I was extremely worried I wasn’t going to get on with it…but it turned out to be quite the opposite! I’m lucky enough to be meeting Rachel Caine later this week – which is what pushed me to start this series, and I’m really glad about it! The plot…is extremely captivating! Caine has amazing skill at creating great cliffhangers that make you just want to keep reading to find out what happens. I also loved the little touch of romance which entices a different type of reader! The characters…are so good! I love the character building and the characters in general. I could really picture them too, which is a really important thing to have in a book, I believe. The writing…I loved it so much. It’s pretty simple and not overcomplicated, but that works with a book like this. When trying to introduce vampires into YA, the best thing you can do is simplify the writing as to let the reader truly understand everything that’s going on. Something I didn’t like…there’s not much at all! The only thing I can say is I felt like there was quite a lot of padding out? I liked it as I loved Claire and wanted to know everything that happened to her, but at the same time I felt as though there was only a few important main events in the book. Okay, there is one more thing. A lot of people seemed to find Claire annoying at first, and I totally get that. She makes some pretty crappy decisions but what people don’t get is that those decisions are needed to make the books continue! 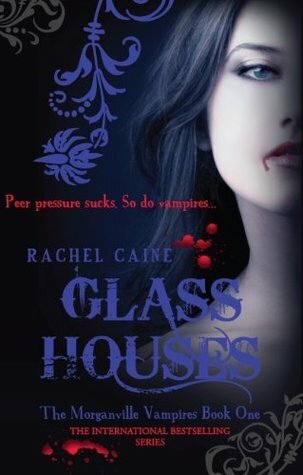 If she left Morganville because of some bullies how would the book continue? SHE’S THE MAIN CHARACTER AND SHE’S STUBBORN AS HELL. GET OVER IT.